This was a very high-profile alleged drunk driving case in which the defendant was Amy Locane, who is an actress best know for her work in the 1990s cult classic musical “Cry Baby,” as well as a major role in the first season of the popular series, “Melrose Place.” The fatal alleged drunk driving car crash occurred in 2010. Locane received a 2.5-year prison sentence, but that wasn’t enough to compensate the family of the 60-year-old decedent. Thus, they pursued a civil case. Much of the settlement payout will be derived from the hosts of the party where Locane was drinking prior to the crash, under the theory of social host liability. Court records in the prior criminal trial alleged Locane was driving at more than three times the legal limit. The legal limit in every state including Massachusetts is 0.08 grams of ethanol per hundred milliliters of blood. This figure is known as a blood alcohol concentration or blood alcohol content, both of which are often abbreviated using the term BAC. Massachusetts General Laws (M.G.L.) Chapter 90, Section 24, sets forth the legal limit for the consumption of alcohol in the Commonwealth. When authorities found Locane, she was allegedly in her car that had run into a ditch and was giggling about the fatal drunk driving car crash in which she was just involved. She was charged with vehicular homicide in the second degree and was held in jail. She was eventually sentenced to thee years in prison where she was to serve no less than two and a half years of that sentence and to complete drug and alcohol testing as deemed necessary. Following her incarceration, she was sued in civil court for the alleged wrongful death of the plaintiff as a result of the fatal drunk driving accident. One issue of note is that of the $4.8 million settlement figure, Locane is reportedly only responsible for $1.5 million and the remaining money will come from the insurance policy of the social hosts of the party. Defendant party hosts welcome Locane, her husband and children to their home and supplied alcohol. Locane later left in her own vehicle and was involved in the fatal crash thereafter. In Massachusetts, the social host law – M.G.L. Chapter 138 Section 34 – allows for liability wherein social hosts supply alcohol to those under the lawful drinking age of 21. The state’s dram shop law, M.G.L. Chapter 138 Section 69, allows for liability when alcohol vendors sell or delivery alcohol to someone who is intoxicated. While there is no “typical” drunk driving car accident, there is generally one drunk driver, and it is the act of drunk driving that constitutes all negligence in the car crash. However, as our Boston drunk driving accident lawyers can explain, while drunk driving is always illegal pursuant to M.G.L. Chapter 90, Section 24, and is always dangerous, it is not always the sole cause of the accident, or even one of multiple causes of the accident. The duty element means a duty to act as a reasonable and prudent driver so as to avoid foreseeable injuries to foreseeable persons and property. In many cases it is necessary to first establish a duty of due care, but in the case of a car accident that is not an issue. 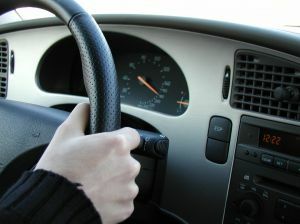 Whenever someone chooses to drive a motor vehicle on the streets, roads, or highways in Massachusetts, this driver has assumed such a duty of care to drive in a responsible manner so as to keep others safe. This includes motorists, pedestrians, and bicyclists. To establish a breach of this duty, it must be shown that alleged at-fault driver engaged in some type of conduct that fell below this standard of care. In many cases, this means that the defendant failed to adhere to a traffic law or ordinance, but it can also involve engaging in some other type of conduct that shows a disregard for the safety of others. While it is true that driving under the influence of alcohol constitutes a breach of the duty of care, in our legal system, it is often causation that is at issue. In Massachusetts, causation is broken down into to actual and proximate causation. Both of these elements must be established. Actual causation is often referred to as “but for” causation. This is basically and odd legal way to say “except for.” But for defendant’s negligent negligence, the accident would not have occurred. Proximate causation on the other hand, means that defendant’s negligent conduct must have been close enough in time to make the breach foreseeable. This is often heavily litigated in cases where there are second accidents following the original negligent act. For example, if a drunk driver causes an accident that results in personal injury and the paramedics are negligent in treating the plaintiff, the drunk driver may or may not be liable for the injuries caused by the paramedics. This is not to say the paramedics will not also be liable. There is no easy answer to this question so it is best for a potential plaintiff to speak with an experienced Boston drunk driving accident lawyer to see how the facts and law apply to the actual situation at hand. Another issue arises in a situation where a person gets behind the wheel drunk and is driving down the road when they collide with a vehicle who was making a turn. If the car making a turn cut off the drunk driver, the driver being drunk, does not automatically excuse the negligence of the vehicle that cut off the drunk driver. If it is a passenger in the turning vehicle was injured, as was the case in the situation discussed above, liability can be murkier. The passenger will have no liability since absent very rare intances where the passenger tried to exercise physical control of the vehicle causing the accident, passengers are generally not liable. We will often have a situation where both drivers are liable and it is up to a judge or jury to decide what portion of damages should be paid to each party. These cases are complex because the drunk driver may be a victim, the passenger is certainly a victim, and the driver of the other car in which the passenger was riding was also a victim.